Dracula looks like he is in a spot of bother. It's one of those times of the year when I wish I lived in America... The other times being all the other days surrounding Halloween. Not that I dislike England, you understand. I just feel we don't really put our back into it when it comes to Halloween. Or theme parks. Or customer service. I love Halloween because I'm a big horror fan. I write novels for young adults that contain a healthy (unhealthy?) dose of horror, I watch horror films at least several times a week, and (of course) I play horror themed board games. I've become a bit of an expert when it comes to Horror, actually. I know this because I did one of those Facebook quizzes where you get to find out you're a genius because you clicked on a specific combination of kitten pictures. Apparently, I know so much about Horror, I would actually be the lone survivor in a horror film. That means, don't go into the basement to investigate spooky sounds, don't split up, don't look behind you to see if you are being chased while driving, and if you get the drop on the bad guy and hit him in the head with a baseball bat, don't hit him once and then leave him unconscious on the floor. Instead, keep hitting him until you're huffing red mist and crying so hard snot comes out your nose. There'll be plenty of therapy in your future, but at least you'll have a future. Anyway, I know a bit about horror in general. And I know a fair bit about the various mythical creatures that populate horror stories. For example, I know that you can't keep a good vampire down. Stake them, behead them, give them an all-over tan. Doesn't matter... Sooner or later they are going to come back. 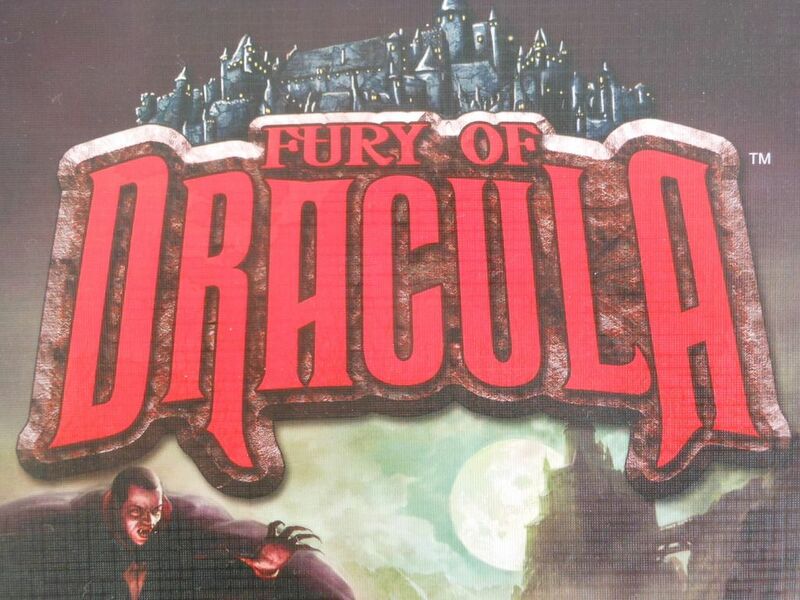 Which brings me nicely to the point... Fantasy Flight Games has just released a third edition of Fury of Dracula, the horror game that just won't stay dead. I vant to bite your finger... Anyone else remember that? The original Fury of Dracula hit retail back in 1987. 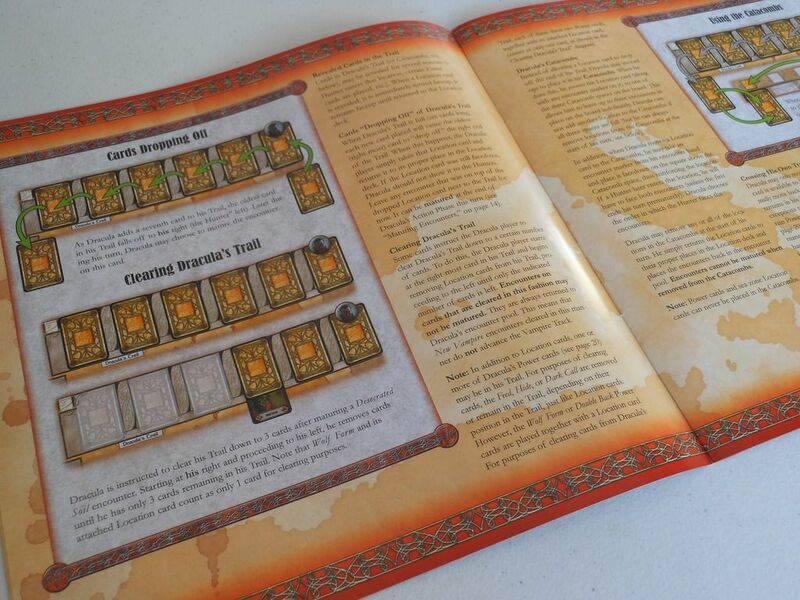 Stephen Hand designed it, and Games Workshop published it. Remember when Games Workshop made games? I never got to play the original game, and eventually it went out of print. 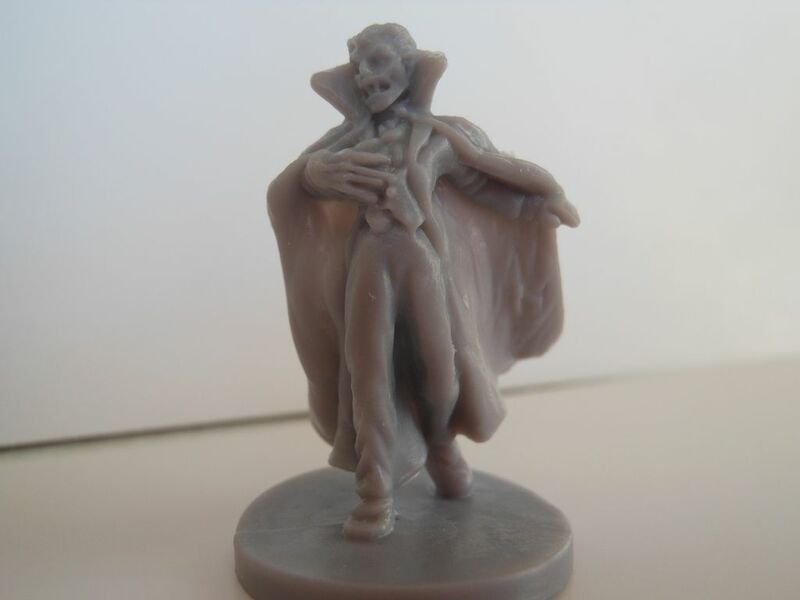 But the Count rose from the grave when Fantasy Flight Games released a second edition of the title in 2005, and that's the version I have in my game collection. It isn't exactly the same game that Games Workshop published all those years ago (neither is it the same game that Fantasy Flight Games is releasing in 2015), but it's close enough (which, incidentally, is what Francis Ford Coppola said to Keanu Reeves after asking to hear his British accent). It is, essentially, a classic cat and mouse game with hidden movement. 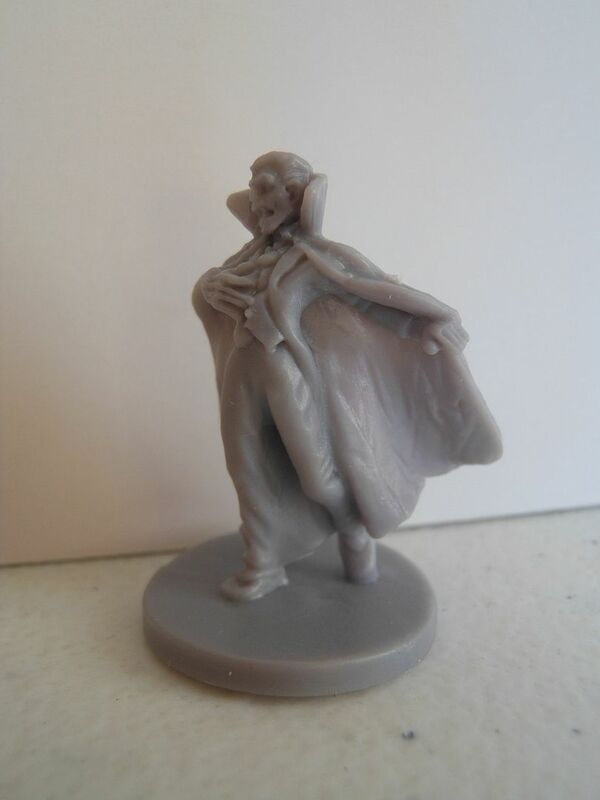 One player is Dracula, who is apparently furious because his nefarious schemes have gone to Hell in a handbag. 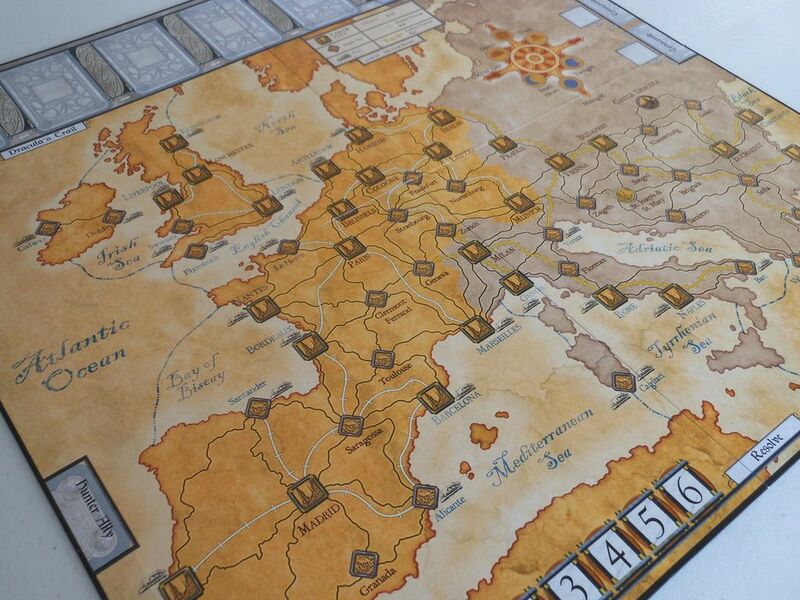 He is secretly moving around a map of Europe, leaving behind a trail of vampires, traps, and dead bodies. 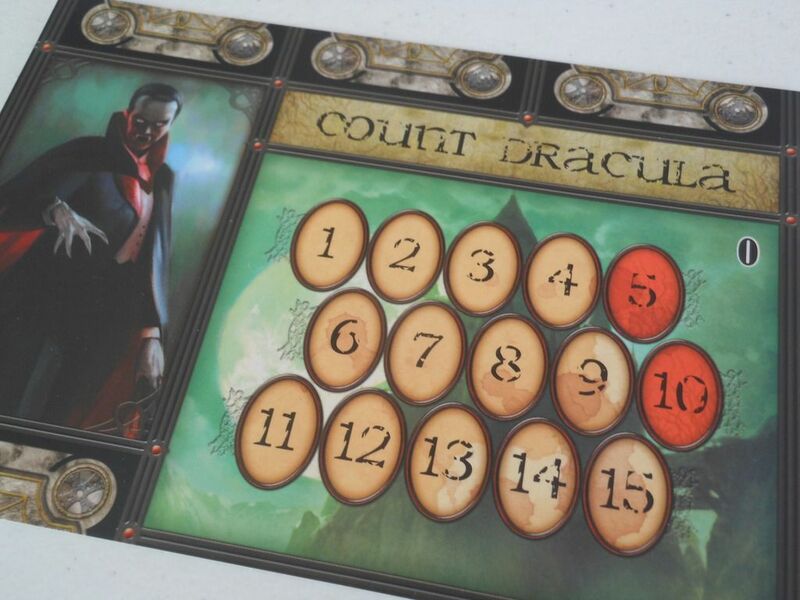 This is achieved with an incredibly nifty hidden movement mechanism whereby the Dracula player lays out face down location cards on a hidden movement track to indicate where the Count has been. Each card put into play, pushes all the previously played cards one space to the right. Once six locations are in place, each new location pushes the oldest location off the end of the hidden movement track. This diagram is from the hunter's perspective... Very confusing. Everyone else controls four vampire hunters, splitting control of the team however they want. Technically, that means the game is for two to five players, but I actually think it is best as a two player game, with one player controlling all four heroes. I don't normally like to control more than one hero, but in this game, it is really easy to do. Besides, if players only control one hunter each, they may find they don't feel like they are doing much. Mainly because, there isn't that much for hunters to do. That's not to say the game is boring, or lacks interesting choices. But I'll be honest... Sometimes players are going to have turns that are boring and lack interesting choices. 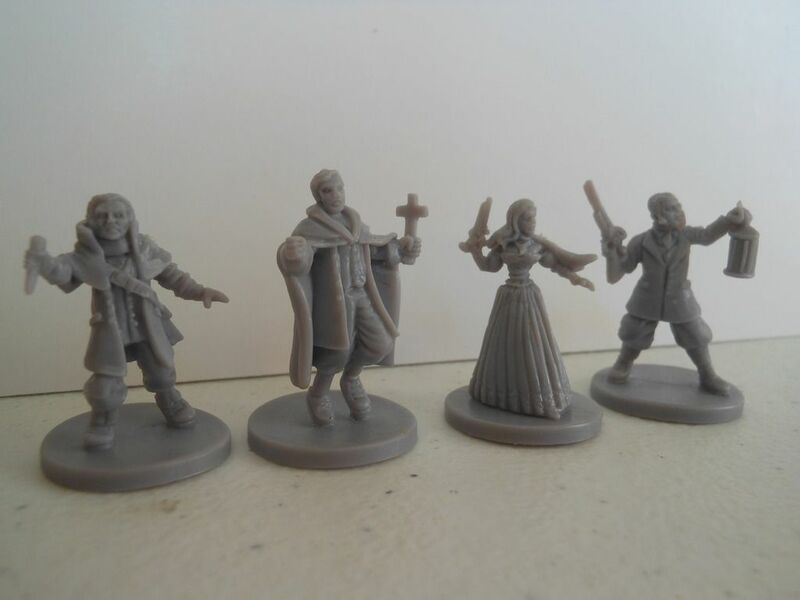 Van Helsing and his posse. 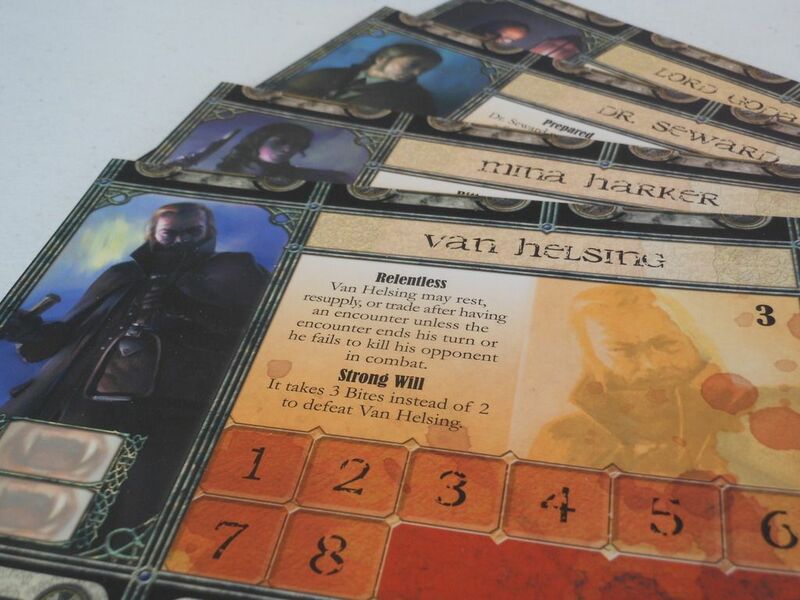 Basically, in each game round, vampire hunters get one movement, and one action phase. And that's it. First, they move to a new location. If they go by road, they can move to any city adjacent to the city they are already in. If they go by sea, they have to embark a ship at a port, sail to a new location, and then disembark at a different port, a process that takes a minimum of three turns under normal game conditions. Finally, if they go by rail, they roll the special train dice, and then move up to the number of cities rolled (ensuring that each city traveled to is connected by a railway line). There is a risk that the train doesn't move at all, but there is also a chance of moving up to three cities, which is handy if you need to cross the country in a hurry. After moving, if the hunter is not at sea, he or she gets to search the current location to see if Dracula is there, and that's where those nifty location cards come into play. If Dracula has visited the location, and the location card is still face down on the hidden movement track, then the Dracula player turns the card face up. This tells the hunters that Dracula was there, and also tells them how recently. For example, if the location flipped is the second card from the left, it means the Count was at that city on the previous turn, and is therefore currently in one of the adjoining cities. Hunters may then get the chance to search the location for useful items and weapons, or trade goods with another hunter in the same space. As the hunters move around, they will eventually pick up the Count's trail, and then things get really interesting. The hunters work together, cutting off escape routes, and eventually cornering Dracula so they can give him a bloody good staking. And that's basically the game... Kind of. For my money, one of the most gorgeous boards ever made. You see, there are loads of other little things going on that transform a very simple central concept into a deep, involving game that generates wonderful stories every time it hits the table. For a start, when Dracula visits locations, he gets to leave little presents behind. Nice little traps that spring when the hunters enter those locations. It might be a vampire, or a human minion, a wolf, or some rats. These traps are obviously there to stall the hunters, but they are also a way for Dracula to win the game, as vampires that remain undiscovered for six turns (and therefore drop off the end of the hidden movement track) mature, giving the Dracula player two points of the six points he needs to win. 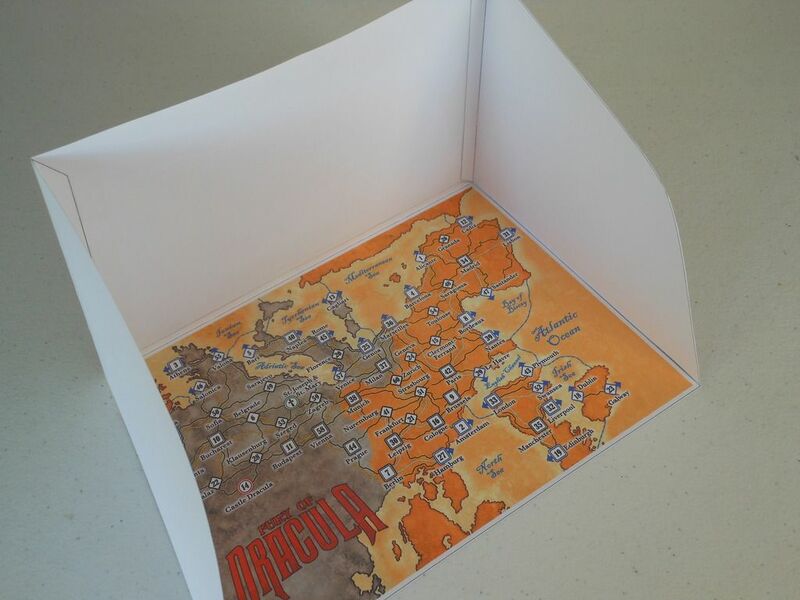 And Dracula gets special powers too: abilities that allow him to double back onto previously visited locations, move through two cities in a single turn, or hide in his current location. Oh, and if the hunters do find him, Dracula isn't just going to lie there. He fights tooth and claw... mainly tooth, actually... while the hunters use garlic, knives, guns, and holy symbols. This is quite an intricate combat system, involving playing a combat card and then rolling a dice. The highest dice roll wins, but the result of the combat is determined by cross-referencing the cards played by both players. For example, if Dracula chooses to dodge, and loses a fight against a hunter using a stake, the fight simply continues with a new round, where the combatants pick new cards and roll again; but if Dracula chooses to attack with claws, and loses a fight against a hunter using a stake, the hunter kills Dracula. Of course, this is Dracula we are talking about, and a kill result doesn't necessarily mean Dracula is dead; he's just a bit deader than he was before. Dracula certainly has plenty of tricks up his sleeve, but he doesn't get everything his own way. There is a day and night tracker in play, and if the hunters are clever, it is possible to reveal Dracula during the day, which means he is much weaker, and quite likely to get battered in a fight. Furthermore, if the Count heads out to sea, he has to play location cards with blue backs, which lets the hunters immediately know he is on a ship somewhere. And there's more... Ways to lock down locations, special events that give one side an advantage, special player powers, a unique "resolve" mechanism that represents the hunters using every last ounce of their strength to achieve something special. There are so many little details, creating a depth to the game that is truly satisfying, and giving the whole experience an epic feel. Every game is a story. And you know how much I love stories. 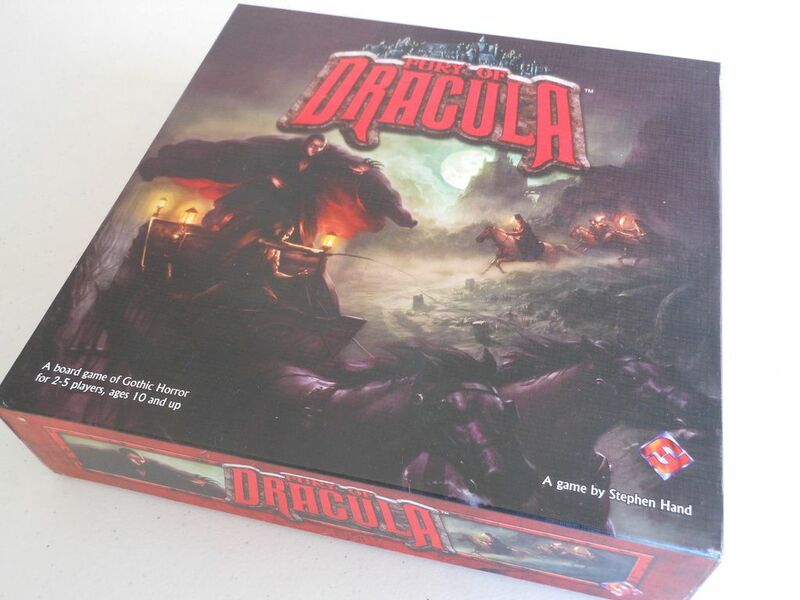 There is no screen for the Dracula player to hide behind (although there is a very good one available on BoardGameGeek, which I highly recommend); sometimes the game drags on if the players are evenly matched; sometimes some of the smaller details seem a bit fiddly; sometimes bad luck sees Dracula escaping after the hunters have done really well to track him down; and sometimes hunters spend several turns at sea, basically not dong much of anything. The screen that should have been in the game, but isn't. Dracula's having a "me" party. But these are minor issues, and more than acceptable considering everything the game offers: beautiful components, absorbing gameplay, thematic mechanisms, and stories you are going to remember long after you have packed the game back in its box. So no, it isn't all perfect. But like Francis Ford Coppola once said, "Close enough, Keanu." * And worst of worst of all, this edition is out of print, and I have no idea what changes are being made for the new third edition.